Chamonix hotels : the jewel in the crown of France’s Alpine hotels! The Alps are one of France’s major tourist playgrounds and Chamonix one of the oldest and best-known of all Alpine winter sports destinations. This means that Chamonix hotels are competing for a well-established – and demanding – customer base. As a result, hotels in Chamonix are known for their good service and extensive facilities – all within easy reach of some of the best skiing, especially off-piste skiing, in France. As this resort is used to catering to all kinds of groups, you’ll find accommodation to suit everyone, from single travellers to large parties. The typical family suite will feature two bedrooms and sleeps four to five people. These suites are larger than normal rooms and may include a separate living room. Some hotels in Chamonix even boast views of France’s highest mountain, Mont Blanc. These kind of treatments for body and mind will certainly come in handy if you’re planning on getting involved in any of the local leisure activities – summer or winter. 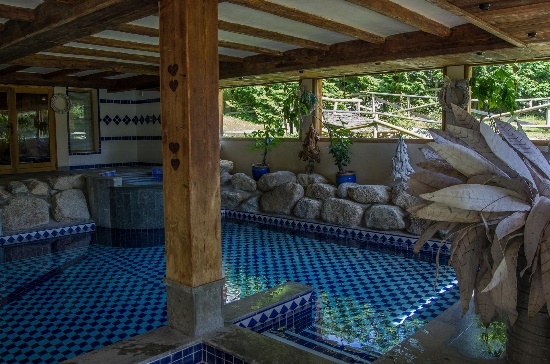 After a spot of hiking, snowboarding and skiing, paragliding, mountain biking, horse-riding, mountaineering, snowshoeing or dog sledding, you’ll definitely appreciate a dip in the hotel hot tub or half an hour on the massage table!